Visit the school with your child prior to his/her first day. This gives your young child an opportunity to see his/her new teacher and other children at play. On the first days, make your arrival relaxed and unhurried to avoid provoking anxiety and stress in your child. When leaving your child at school, say goodbye and assure your child of your return. It is important that you give your child the message that it’s okay to be at school. Your calm demeanor and smiling facial expression will provide this positive message which the child will translate as trust. Though it’s often necessary to ease your child into school routines by sitting with him/her at drop off time, make your departure as quick as possible. The longer you stay with your child, the harder the transition to school routines becomes. After your departure, your child will have a valuable and important opportunity to bond with his/her teachers. We understand how difficult and emotional it may be for both you and your child during the first few days of school. 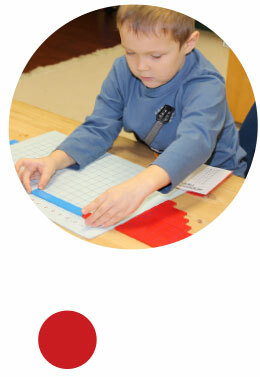 Please be assured that our nurturing staff will make every effort to help your child adjust to his/her new environment. We welcome your phone calls to the school over the course of the day if you are concerned about your child’s adjustment. Above all, keep in mind that children do cry and adjusting to a new environment is part of their learning process. Our expert staff will make every effort to comfort your child and introduce him/her to new school routines and friends. Once the adjustment period has passed, your child will learn how much fun school can be. Soon you will find that your child does not want to leave at the end of the day!